Scientists on Wednesday unveiled the first-ever image of a black hole and its shadow located in a galaxy far, far away. The black hole was photographed by a network of eight telescopes across the the world known as The Event Horizon Telescope Collaboration. 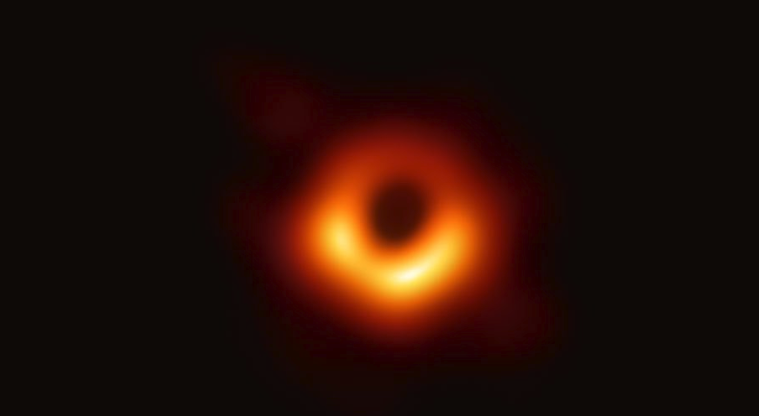 “We’ve exposed a part of our universe we’ve never seen before, We have seen and taken a picture of a black hole,” Shep Doeleman, an astronomer at Harvard University who led the effort to capture the image, said at a press conference Wednesday. The black hole resides 55 million light-years from Earth in a galaxy known as Messier 87 and has a mass 6.5 billion times that of the sun, according to the National Science Foundation. The effort of capturing the photo is detailed in a series of six papers published in a special issue of The Astrophysical Journal Letters.